You brush your teeth everyday.. right ? Well your little one will require some teeth cleaning from time to time as well. It’s like us: if you don’t clean it regularly, plaque will build up and turn into tartar that will irritate gums and can lead to other possible mouth diseases. Many cats suffer from gingivitis and in some extreme cases, this can lead to potential teeth loss. Luckily, there are simple ways to avoid this from happening. 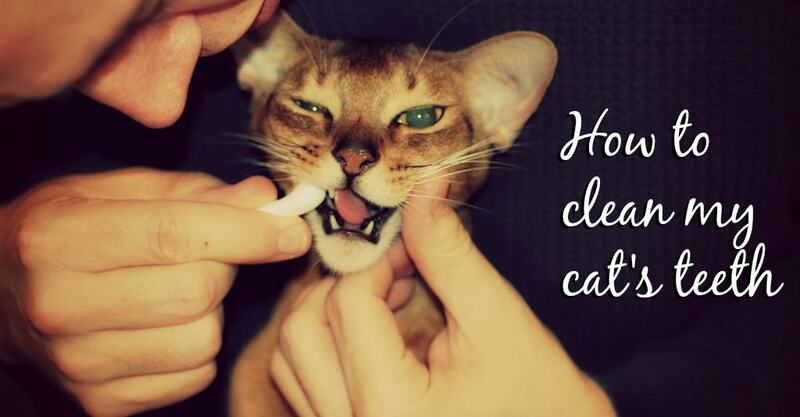 Here is a simple guide to help you clean your cat’s teeth. There are several ways to do this. We have to warn you though, in some cases, it wont be that easy to clean this little beast’s teeth. Why, you ask? Well, cats literally hate when you try touching their teeth, except if you trained them when they were younger. The easiest way is to use special products designed to avoid wrestling with your cat. The good ole way is probably the hardest way but it is for sure the best and more efficient option: simply brush your cat’s teeth with a special soft brush. This will have the same effect as it has for you, a deep cleaning of his teeth for a perfect dental hygiene. 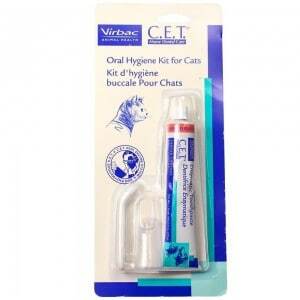 You will need to use a special toothpaste made for cats that you can apply directly on their teeth without having to worry about them swallowing it as this is totally normal. You can try and use a regular toothbrush but it might also be easier to use a special little brush designed for your cat. Start with his front teeth with a gentle circular movement and slowly make your way to the back. Check out the advice of an expert on that matter. In any situation, the trick is always to do it step by step and get your cat used to the brushing. If you scare him on the first try, chances are that you will have a very hard time trying again. It is better when you start for the first time to take it easy. One step at a time. One day you present the cat with the product, the next day you try one tooth, then another one, until your cat gets more familiar with it. You also know that your cat can be a difficult animal 🙂 He could prefer the taste of one specific toothpaste to another one. For that matter, if the first try did not work too well, try another brand and compare the results. 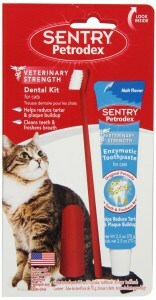 It’s really worth comparing: when you find a product that works, it will tremendously improve your cat’s dental hygiene. Now, if you do not succeed with this method, other alternative/complementary methods are also possible. Use a special liquid that you can add to your cat’s drinking water. It acts basically like a mouth wash. It will kill the bacteria responsible for tartar building up. Those contain enzymes that will fight bacteria responsible for tartar building up. 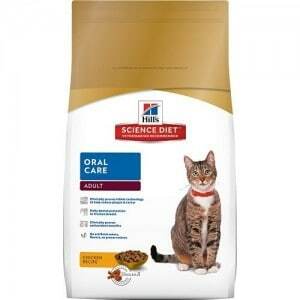 With the kibble and dental chews, there is also a positive mechanical effect: chewing on the kibble or chews will have an abrasive effect that will help clean your cat’s teeth. The strip technique is pretty efficient all around: your cat will play, have fun, and clean his teeth at the same time, making it sooooo much easier for you. If despite all your efforts, you notice that his teeth become yellow/brown and that his gums turned red, you will need to bring him to your vet to take off the tartar and plaque. In a perfect world, you should clean your cat’s teeth everyday whether it’s by brushing them or simply by using those specific kibble I was mentioning earlier. I know it’s not easy but it’s worth the extra time / investment if you want to make sure your cat’s teeth remain healthy throughout his life. We hope you were able to find a way to help your little friend take care of his teeth. We know it’s not that easy if you have not started at a young age but it is very important to try anyway. It’s part of his overall well being and he will thank you for that. Also you should know that all the techniques mentioned in the above article are not exclusive: You can brush your cat’s teeth as well as using a powder or the special kibble. You just need to design a routine that will guarantee healthy teeth for your cat. 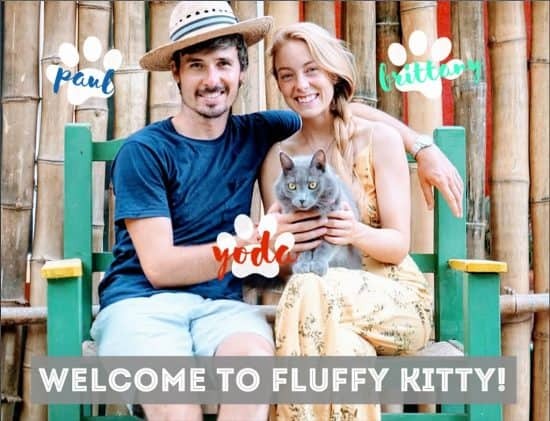 You are more and more to follow us everyday on Fluffy Kitty and we thank you for that! As usual we appreciate your support and will be more than happy to answer any questions you have. Follow us on social media or leave us a comment 🙂 See you next time! Meow! My aunt has a cat that’s pretty old and is starting to have mouth problems. She recently tried to brush the cat’s teeth to try and solve the problems, but it wasn’t a very successful attempt. It’s interesting that you point out that if you scare the cat on the first try, you’ll have a really hard time trying again. That’s maybe what happened with my aunt. I’m sure it would be really helpful if she just took her cat to a vet so that they can take care of the problem. Hi Monica, thanks for your comment. We try our best to get into Yoda’s mouth too, but he is a wriggler so he gets away fast, haha. A thorough teeth clean at the vet would be helpful indeed! I brush my teeth twice a day, I did not realize that cats need brushing too. I would like to try using a soft brush for my cats but they are full grown now so I don’t think I can manage it. I am going to check with a veterinarian to take care of their teeth. It’s nice to know that a cat’s teeth should be cleaned on a daily basis. I’ll try to keep that in mind and seek a professional’s guidance, if I do get myself a pet. I’ll keep your tips in mind. Thanks again! You are very welcome! Thanks for dropping by!